Houston, Texas is one of the largest cities in the United States – in fact, it is currently the fourth largest city in the country. The area is famous for being the oil and gas hub of our country. Many of the largest oil and gas companies are headquartered in Houston. The city plays home to plenty of professional sports franchises, including the Houston Rockets, Houston Astros, and Houston Texans. Because Houston does not have a large amount of public transport infrastructure, the city’s residents are particularly reliant on driving. 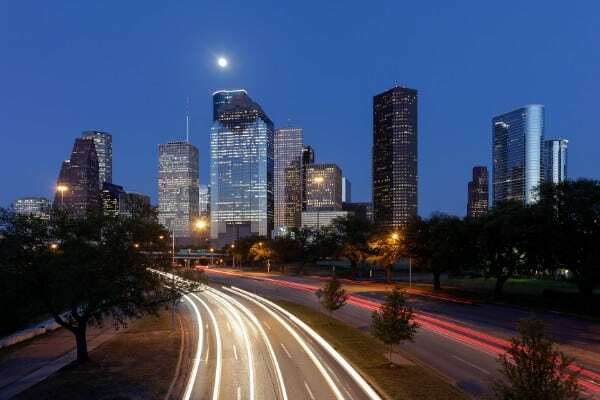 If you drive in the city of Houston, you know how important it is to have a solid auto insurance plan. 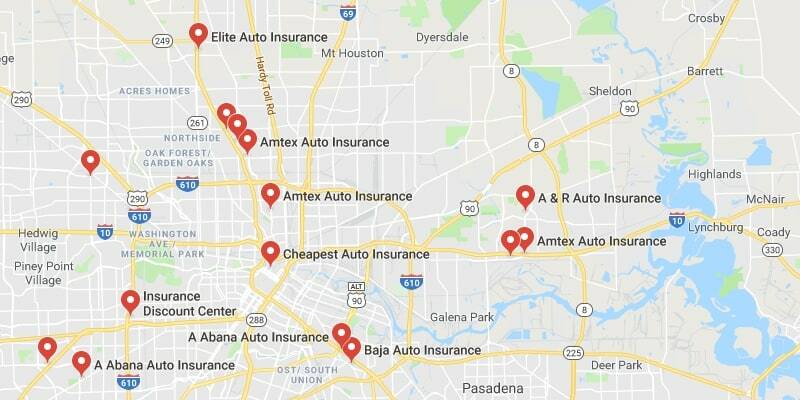 Our company is dedicated to helping you find the most affordable auto insurance in Houston, Texas. If you’re looking for a new auto insurance plan in Houston, and you want to stay safe on the roads, make sure to read the rest of this article! 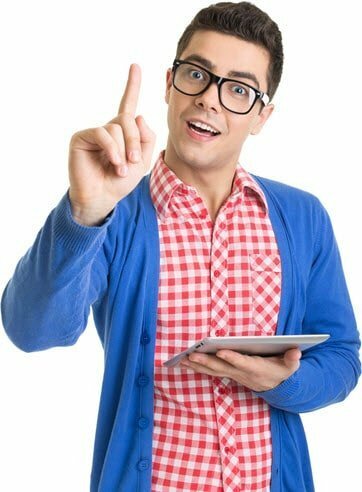 How Helpful Was This Article on Houston? If you plan on driving in Houston, there are a number of risks that you have to face while operating a vehicle on the roads. While Houston is known as one of the hottest cities in the country, winter can result in freezes and occasional snow. During the summer, large storms can result in hazardous driving conditions. Houston also faces flooding problems that can result in damage to your vehicle and dangerous driving conditions. Your car can even be damaged by this flooding while it’s parked on a street or in a garage. Traffic is also a major issue for Houston. The city is one of the fastest growing metropolitan regions in the country, so make sure that you stay vigilant while on the road in traffic. In addition, because the city is built on swamp land, the roads often have pot holes and other damage that can cause potential hazards for drivers. With so many driving hazards present in Houston, it’s important to be aware of the local laws and regulations if you want to stay safe. Insurance companies typically offer better rates to drivers who have cleaner driving records, so it can pay to be responsible on the roads. Below we will take a look at some of the most prominent driving laws and regulations in Houston. Texas recently passed laws to help prevent distracted driving. In Texas, you can no longer text while driving – fines now range from $25 to $200 depending on how many times you have been caught. In addition, other areas of Houston have stricter laws on handheld devices, but this depends on local jurisdiction. Distracted driving causes injuries and deaths on American roads every year, so make sure to be careful. Texas has some of the strictest seatbelt laws in the country. Everyone travelling in a vehicle in Texas needs to wear a seatbelt – it doesn’t matter if you are over the age of 18. In addition, if you have a child under the age of eight, they must be strapped into either a booster seat or car seat – whichever is more appropriate. Those under the age of 21 in Houston must wear a helmet while operating a motorcycle. If you’re over the age of 21, then you don’t need to wear a helmet if you have taken an approved safety course and have personal insurance coverage. This being said, riding a motorcycle without a helmet is extremely ill-advised – it can result in serious injury or death. Individuals driving under the influence of alcohol is a huge issue for many people in Texas. For this reason, Houston and the rest of the state have very strict punishments for those who drive under the influence of drugs or alcohol. If you are over the age of 18, a blood alcohol content (BAC) of .08 or higher will land you with a DUI. This being said, you can still be determined to have a DUI no matter what your BAC is – especially in the case of drug consumption. First time offenders face stiff penalties, including a $2,000 fine, license loss for a year, a jail sentence of up to 180 days, and a potential annual fee of $1,000-$2,000 for the three years after your license is reinstated. Those who have been caught more than once in five years also have ignition locks installed on their vehicles. Texas law also aims to protect vulnerable children from irresponsible drivers by imposing harsher penalties on those who drive intoxicated with passengers under the age of 16. This can result in up to a $10,000 dollar fine, a two-year prison sentence, and more. Roads in Houston and surrounding areas can be extremely dangerous. To illustrate this, we’ll take a look at some of the accident statistics in the state of Texas. In 2016, over 260,000 people were injured on roads in Texas. In addition, over 3,700 individuals were killed on Texas roads. This indicated that “one person was killed every 2 hours and 19 minutes’ on Texas roads. DUIs in Texas are most common between 2:00 AM and 2:59 AM – stay vigilant if you are on the roads late at night. As you can see, there are plenty of reasons that you should have a solid auto insurance policy in Houston, Texas. With so many hazards on the road, it’s important that you have a comprehensive plan that can keep you covered. It can also come in handy if flash flooding occurs and your vehicle is left in an area that is affected. Remember, keeping aware of the laws and regulations mentioned in this article can help ensure you reduce your insurance costs in the future. 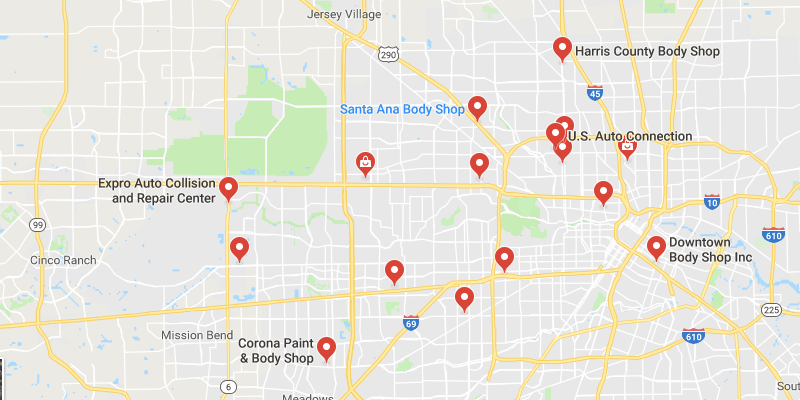 If you’re planning on driving in a city aside from Houston, make sure to check out some of our other city-specific pages. We’re a great resource for anyone on the hunt for affordable car insurance quotes!